After serving as president of Corpus Christi State University and then as chancellor of the three-campus South Texas University System from 1977 through the 1980s, B. Alan Sugg returned to his alma mater as president of the University of Arkansas System in 1990. Sugg earned his bachelor’s and master’s degrees from Arkansas in the 1960s and then received his doctoral degree from the University of Oklahoma in 1971. During that period, he also served as an assistant to the vice president for finance at the University of Arkansas. He worked in a similar position at East Texas State University before becoming the vice president for academic affairs at Corpus Christi in 1972, later being promoted to president. After taking the helm of the system, Sugg oversaw expansion of the university system to include five community colleges and the University of Arkansas at Fort Smith. The system also added the Winthrop Rockefeller Institute, the Criminal Justice Institute, the Clinton School of Public Service and the Arkansas School for Mathematics, Sciences and Arts during his tenure. 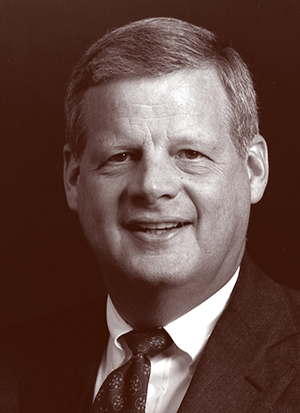 In 2004, the Board of Trustees created an endowment for the University of Arkansas System and named it in Sugg’s honor. He is the second-longest-serving president in the university’s history. Personal: Sugg was born April 29, 1938, at Helena, Ark. He married Jean Bussell in 1960, and they have two children.